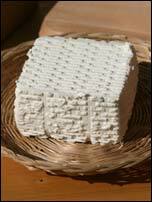 A soft or semi-hard table or grating cheese made from sheep's milk. 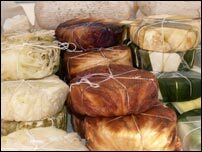 The cheese is cylindrical in form with a distinctive, savoury taste. The soft variety has a yellow-colored rind and white paste, while the rind and paste of the semi-hard pecorino are slightly darker in color. Pecorino Toscano is produced all over Tuscany as well as in several town districts in the provinces of Perugia and Viterbo. 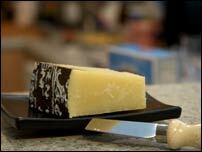 The most popular of all Pecorino cheeses and probably also one of the oldest cheeses. The Roman agronomist Lucius Moderatus Columella already mentioned it in his treatise De Re Rustica in the 1st century AD. Consumed as table cheeses, sliced or grated. Some typical Roman dishes are topped with Pecorino. 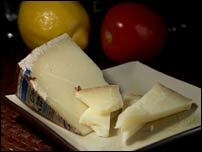 Pecorino cheese produced in Sardinia.